In 2016, a major crowdfunding record was smashed by a challenger bank seeking to disrupt the mobile banking industry. Despite capping each investment at £1,000, Mondo (which later changed its name to Monzo) raised a whopping £1 million in just 96 seconds on Crowdcube – that’s nearly £10,000 per second. Enthralled by their success, we managed to chat to the Crowdcube team the morning after the round closed to discuss the secret to their success. This is what we found. So, how have Monzo done since their momentous 2016 campaign? Well, according to TechCrunch, they now have more than a million customers – with 800,000 monthly active users – and have raised £85 million in Series E funding in a round led by U.S. venture capital firm General Catalyst and Accel. The latest funding was at a pre-money valuation of £1 billion. Perhaps they’ll take a fundraising break, for a while at least? Quite the opposite. With its million-strong dedicated community and swathes of investors watching their activity like a hawk, Monzo is set to build on this momentum – it’s already plotting another crowdfunding campaign before the year is done. 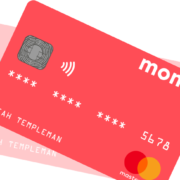 Monzo co-founder and CEO Tom Blomfield told TechCrunch that the new funding would be used to advance the Monzo product line and meet other operational costs. Monzo is now at a stage where the average customer is generating more revenue than the cost of servicing their current account. The challenger bank has apparently brought down costs in a few different ways and has a number of revenue streams, such as overdrafts, interest gained on customer deposits, interchange fees generated from debit card transactions, and its emerging marketplace. The bank also cited a Nationwide annual report showing that Monzo accounts for 15 percent of all new bank accounts opened each month in the UK. Blomfield told TechCrunch that his biggest challenge over the next year will be to boost revenue – partly by growing its marketplace and third-party product partnerships – and putting Monzo’s lending models to the test. It’s clear that Monzo is not just making a splash in the UK, it has also turned heads in the US, leading to the backing of General Catalyst. We’re investing in Tom and his team because they are delivering a high-quality banking experience for consumers at scale that is sorely missing from the market. Today’s incumbent UK banks represent billions of market cap but suffer from low NPS scores, reflecting their inability to meet their customers’ needs. Monzo, in contrast, explicitly builds product and banking features in a community-driven approach based on customers’ feedback and requests. This has driven very high organic growth, strong retention and engagement, and unprecedented customer love for and trust in Monzo. Beyond this, Tom and the Monzo team have improved upon the traditional business model of banking, removing the traditional offline retail-based banking model in favor of a highly scalable and lower cost mobile-only experience. All of this creates the potential for Monzo to become a leading U.K. bank, launch a successful financial marketplace, and eventually expand internationally. This is all very exciting for Monzo’s customers, investors, and for the world of crowdfunding in general. We’ll certainly be watching their next round closely! https://www.tribefirst.co.uk/wp-content/uploads/2018/11/cards_k8vn9o_c_scalew_658.png 488 658 Tribe First https://www.tribefirst.co.uk/wp-content/uploads/2018/06/TribeFirst-NewWeb-Images-01-HeaderLogo.png Tribe First2018-11-05 08:37:432018-11-05 08:38:43The Monzo Effect – how is the UK challenger bank getting on?